Wow your holiday guests with our award-winning, not-your-ordinary dessert wine, Lacrima Dolce. What makes it unique? It’s a late-harvest Merlot bursting with flavors of ripe, juicy cherry capped with a long, silky, chocolate-meets-cinnamon finish. This Penns Woods Winery favorite is a worthy partner for decadent desserts, so why not whip up a wine-inspired confection that’s heavy on the chocolate? 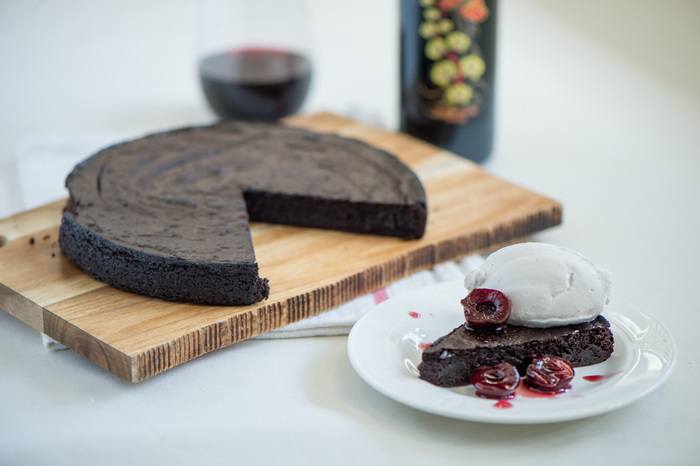 Lacrima Dolce Flourless Chocolate Cake with Macerated Cherries is rich, yet not-too-sweet, and fairly easy to prepare. It pairs beautifully with this dessert wine, a fitting finish to a special meal with family and friends. Preheat oven to 375 degrees. Cut a piece of parchment paper to fit the bottom of a 9-inch cake pan. Grease the pan and line with the parchment round. In a small pot over medium heat, bring Lacrima Dolce to a simmer and reduce by half, so about 1 cup remains. Chill. In a small bowl, mix together ½ cup of the reduced Lacrima Dolce, 1 teaspoon of sugar, pinch of salt and black pepper. Add the cherries and marinate for at least one hour. To make the cake, place the chocolate and butter in a microwave safe bowl. Microwave the chocolate and butter at 15 second intervals, stirring after each round until the chocolate is melted. Pour the melted chocolate and butter into a large mixing bowl. Add ¼ cup sugar, ¼ teaspoon salt, vanilla, egg yolks, egg whites and the remaining ½ cup of the reduced Lacrima Dolce to the chocolate. Whisk to combine. Add the cocoa powder to the batter and whisk until smooth. Pour the batter into the prepared cake pan. Place the pan in the oven and bake for about 25 minutes, or until the middle is set and a thin crust has formed over the top. Remove from the oven and allow to cool. Portion the cake into slices and serve with the Lacrima Dolce cherries and whipped cream. Sometimes the simple things in life are the best—and this easy-to-make recipe is one of them. It’s perfect for families-on-the-go who crave a delicious and nutritious dinner and is equally at home as the headliner when you want to impress. 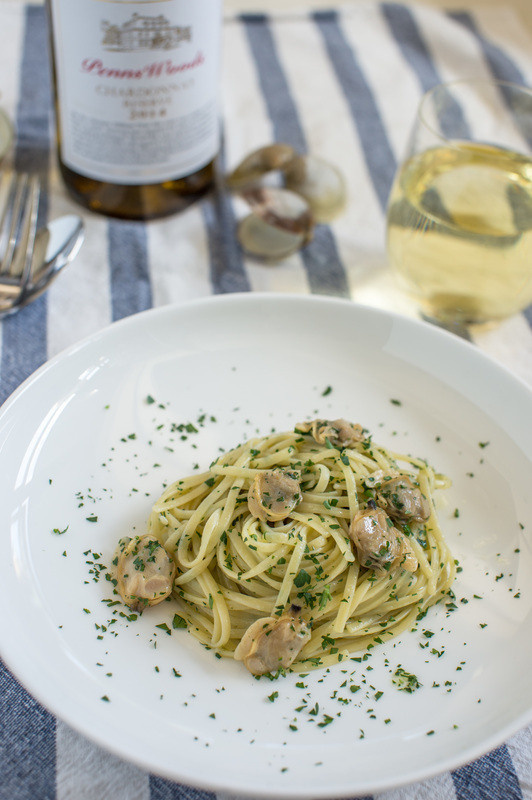 ​Bring a hint of summertime to your table year-round with mild, oh-so-slightly-briny littleneck clams. They and the linguini soak up Italian-inspired goodness from garlic, thyme, bay leaf, peppercorns and parsley and end with a bright finish courtesy of lemon. Irresistible! There’s a full bottle of our award-winning Penns Woods Winery Chardonnay Reserve in this recipe (so pick up a second for sipping!). 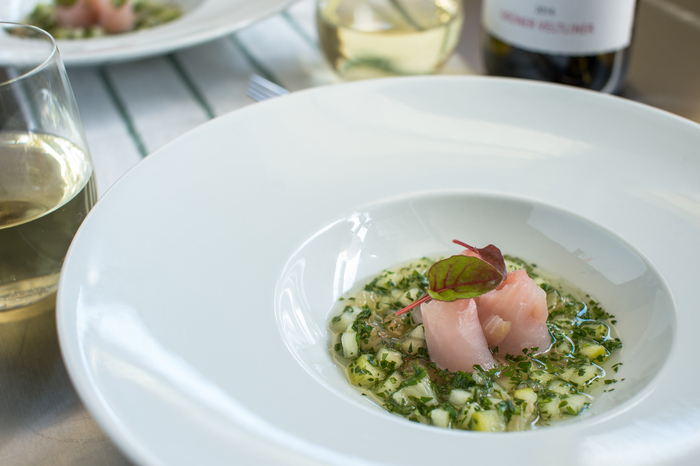 Its notes of crisp green apple and nutmeg plus hints of toasted nut and vanilla lend subtle undertones to the dish. Since our method of aging allows for the natural bright fruit flavors to shine, Chardonnay Reserve also highlights the sauce’s lemon notes. In a large pot over medium high heat add olive oil, wine, garlic, thyme, lemon juice, bay leaves and peppercorns. Bring the liquid to a simmer and cook for about 10 minutes, allowing the liquid to reduce. Add the clams to the pot and cover. Cook for about 5 minutes, or until the shells are completely open. Discard any clams that did not open. Strain the clams from the liquid and reserve. In a large saute pan, bring cooking liquid to a simmer. Reduce the sauce for about 10 minutes, or until it reduces by one third. Lower to medium heat and add pasta, clams and parsley to the sauce. Toss and stir pan until pasta is evenly coated with sauce. 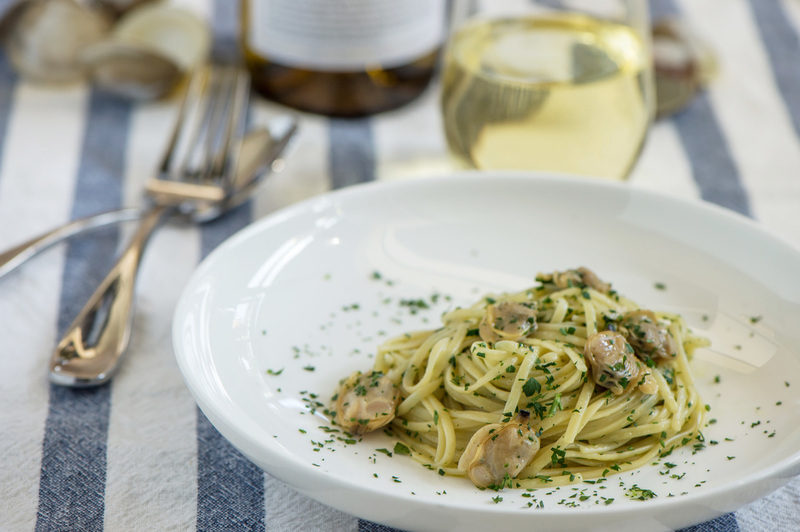 Portion the pasta onto plates with a serving of clams. It's Almost Harvest Time! How We Get Ready. The mornings and evenings are getting cooler. The days are starting to get shorter. You hear more and more crickets chirping. These are all sure signs and sounds that harvest is on the way—and we couldn’t be more proud of our bursting-with-flavor grapes. Harvest is one of the most exciting times of the year at Penns Woods Winery. We’re literally reaping the fruits of our labors as we pick our precious grapes. Plus—even more exciting—this fall will be the first harvest of the pinot noir grapes we planted in 2013. Probably the biggest indicator that grapes are nearing the peak of ripeness are those cooler nights. 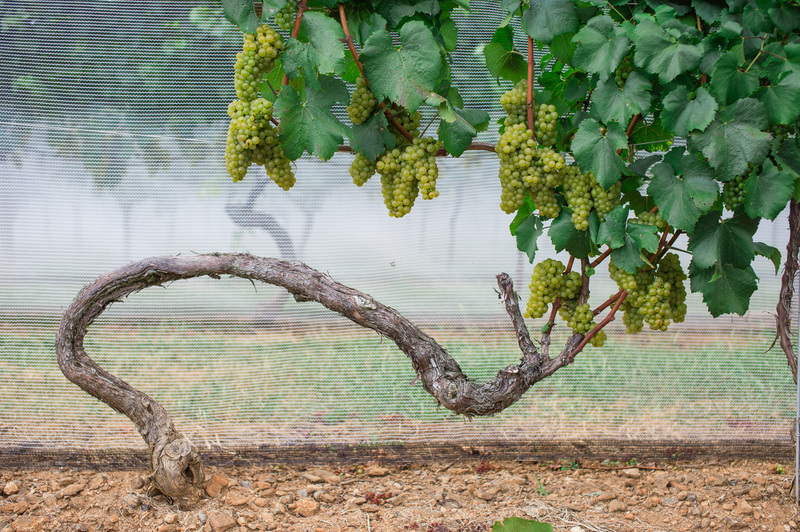 As the crisp fall air starts to move in, we start to busy ourselves with pre-harvest preparation. This year, we hope to start with the whites the first weekend in September. Some of the first things we do are the least glamorous but very important: we spend a few weeks in the winery sanitizing everything and checking that all equipment is in perfect working order. Out in the vineyards, we routinely run analysis on the grapes to check ripening progression. We’ve got lots of grapes to pick in a short amount of time, and since we hand pick every bunch, we look to our Wine Club members to volunteer. Having 5–10 members of our Penns Woods family lending a hand gets the job done. It’s always work and play at Penns Woods! We provide food and a few bottles of wine for our volunteers who get up early to make sure our ripe grapes are picked just in time. Interested in helping? Become a Wine Club member for that opportunity, plus other amazing benefits like pre-releases, special picks by our president and winemaker Gino Razzi, pickup parties, referral gifts, great discounts, free wine tastings, exclusive vineyard tours and preferred access to events. Pre-harvest is in the air! Won’t you come and play a part? Salute! Bacon—need we say more? 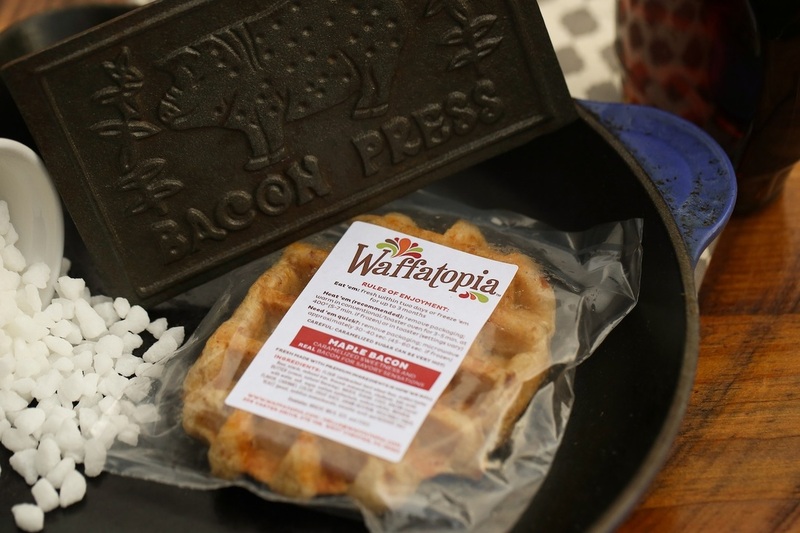 How about bacon-inspired items from our friends at Taste Artisanal Market, Waffatopia and The Bacon Jams … plus wine? We’re sure you’re scrambling for your calendar now to block off August 26–28 for our International Bacon Day Celebration. We’re serving up amazing pairings at Penns Woods Winery in honor of one of our favorite noshes. Our package-for-two includes a snack plate of Taste Artisanal Market’s Bacon Cheddar Pub Spread, Waffatopia’s Bacon Maple Waffle bites and baked brie topped with The Bacon Jam’s spreads plus one glass of wine per person for just $28.99. Traminette 2015, a crisp and clean white with notes of honey and lemon and a mineral finish. It won double gold at the 2016 Finger Lakes International Wine Competition. Bancroft Riesling 2015, a full-flavored white with pear and jasmine on the nose plus tastes of honey, floral and citrus with a slightly sweet finish. It won silver medals at the 2016 Finger Lakes International Wine Competition and the 2016 International Eastern Wine Competition. Chambourcin 2012, a complex red with hints of pomegranate, black pepper, sage and earthy flavors. It won double gold at the 2014 Pennsylvania Wine Competition, and the 2010 vintage was awarded the Keystone Cup for Best Dry Wine at that same venue. Come spend a lazy late-summer weekend with us in our Tasting Room or on our patio, or bring a blanket to relax on our beautiful grounds. The Penns Woods Winery International Bacon Day Celebration happens Friday, August 26, from noon–6 p.m.; Saturday, August 27, from 11 a.m.–7 p.m.; and Sunday, August 28, from 11 a.m.–4 p.m. Bonus! Enjoy the sounds of Greg Jones on Saturday from 2–5 p.m. and music by Jason Farley on Sunday from 1–4 p.m.
​Cheers to bacon and wine—a perfect pair! 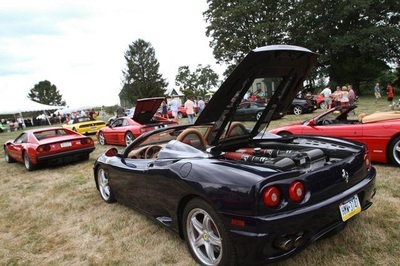 Start your engines—and then drive on over to our sixth annual classic car show and wine festival on Saturday, August 20, from noon–4 p.m. on Penns Woods Winery’s bucolic grounds. It wouldn’t be a Penns Woods event without wine! Savor wine tastings, wine by the glass and bottle, as well as a 45-minute vineyard tour with our winemakers from 2–3 p.m. Want to earn a free tasting ticket? Bring a new, unwrapped gift for a child to donate to CarzNToys and one tasting is on us. Snag your tickets now: admission is just $16 for adults and includes one glass of wine and a Best in Show vote, or $10 for a designated driver or under-21 ticket that includes a Best in Show vote. Children 10 years or younger are free! 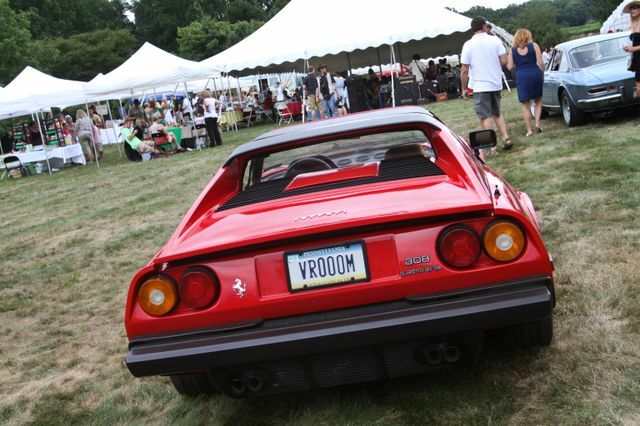 There’s still some time left to register your vintage, classic or luxury sports car. Registration includes two tickets to the event, one glass of wine and a Best in Show vote for each ticket, a souvenir wine glass and—ta da!—a chance to win in one of five categories. We don’t issue paper tickets; either print your confirmation or you’ll be asked to show ID to enter. You’ll be required to show ID to prove you’re over 21. Take it as a compliment! We’ll have food trucks at the event, so no outside food is permitted at Cars, Vines and Wines. As always, no outside beverages are permitted; any alcohol other than Penns Woods Winery wines will be confiscated. Park yourself at Penns Woods Winery on August 20—see you then! We’re busting at the seams with pride over our two new summer favorites—Bancroft Field Blend Rosé and Penns Woods Viognier Reserve 2015—which join another summer go-to, our Bancroft Moscato 2015. We’re pretty sure you won’t find a better lineup to cure a case of the hazy, hot and humids. 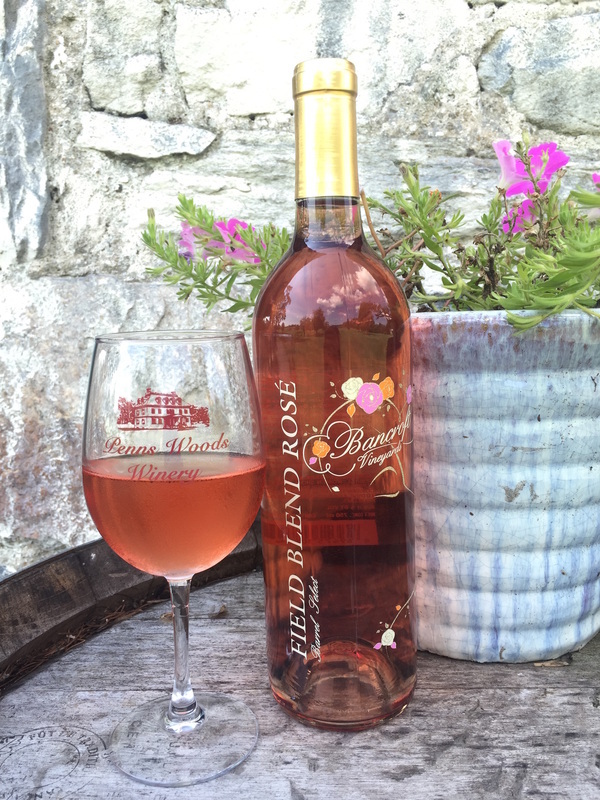 Our Bancroft Field Blend Rosé is a mysterious blend of Merlot and Cabernet Sauvignon—yes, you read that correctly! That means this is our first dry rosé for the Bancroft line. A sip reveals that it’s light and refreshing, full of peach and slightly underripe strawberry flavors with a hint of citrus on the finish. If we had to pick one perfect summer wine … well, we’re partial to the other two, as well, but this is a winner! 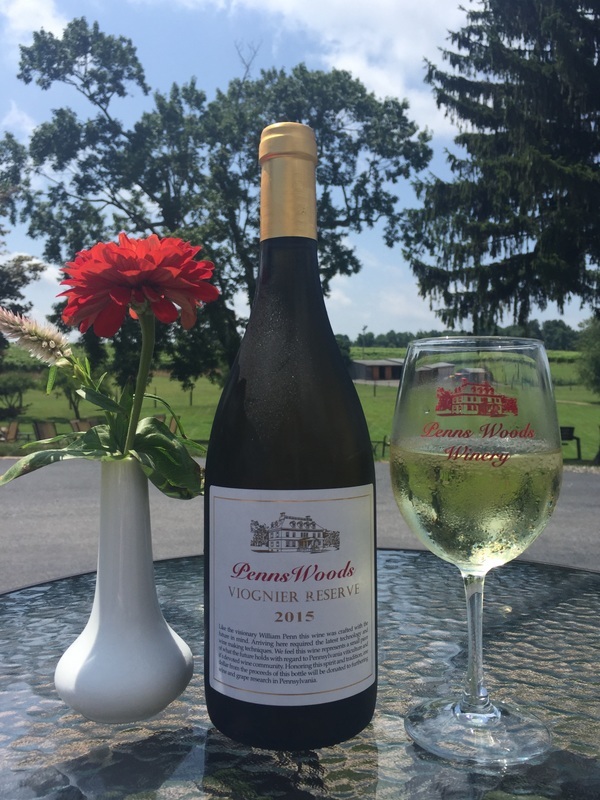 Penns Woods Viognier Reserve 2015 comes from our estate grown Viognier. Give it a try and taste a truly complex, carefully crafted and aged wine. It’s a light-to-medium bodied white with flavors of bright cantaloupe and tropical fruit kissed with a hint of minerality at the finish. Looking for a not-the-usual white wine? This is your new best friend. Our popular Bancroft Moscato 2015 is not overly sweet, but instead is a light-bodied wine with fruit-forward aromatics and full flavors of ripe juicy peach, pineapple and honeysuckle. Drink in its crisp effervescence, which makes it delightful with brunch or enjoyed as a refreshing aperitif. All Moscatos are not created equal: this is one to savor again and again. Stop by our Tasting Room for a glass or bottle of what will surely become your new summer favorites. Did we mention they’re perfect for quaffing at one of our weekend special events? 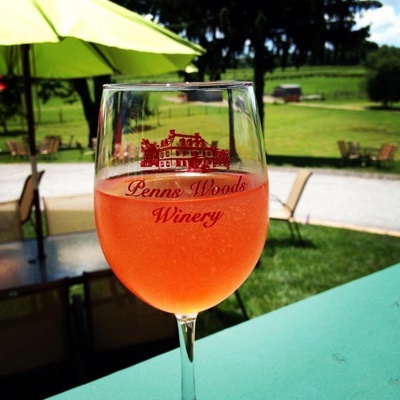 Come out and visit: there’s a lot to do, see and drink at Penns Woods Winery. We have your cure for summer’s oppressive, humidity-soaked days and its clear, bright respite days, too. 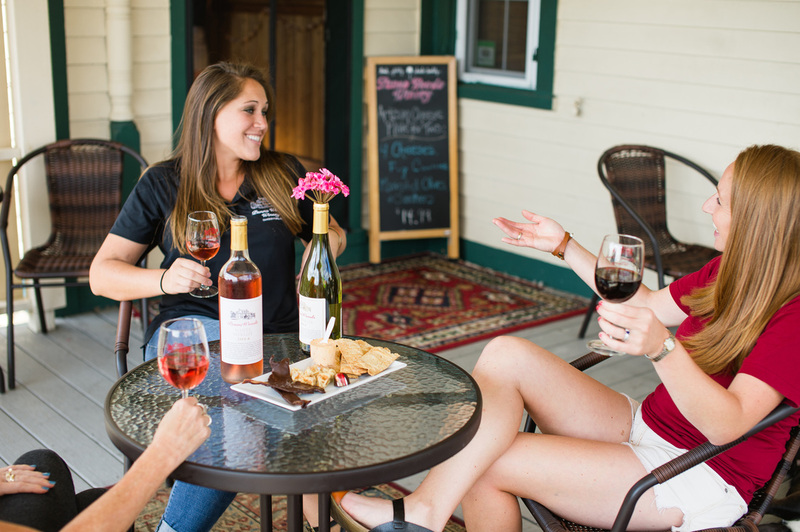 Yup—it’s a trip to the Penns Woods Winery Tasting Room, and we’ve got tips and tricks for making the most of summer-inspired wine tasting. Flights of five wines are available for just $10. Many wines by the glass and bottle—the price depends on your choice. Glasses start at $6.50, bottles at $22. Tons of special events on the weekends—think out-of-the-box pairings, live music and food trucks, too! Do bring a picnic basket, blanket, chairs and something for the kids to do when you plan on wine tasting outside. 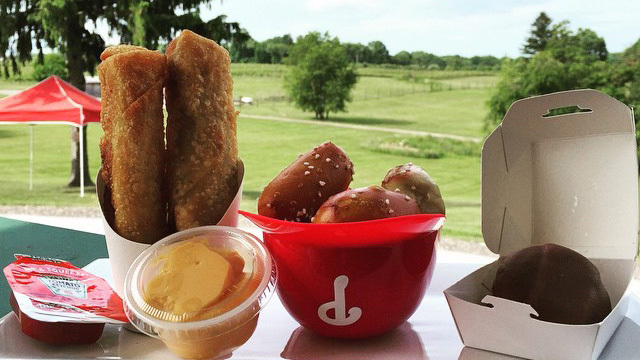 Don’t bring food into the Tasting Room or on the patio. Do dress in comfy summer clothes, but bring a few layers, like a raincoat or light sweatshirt: you never know when the weather will change. Remember the umbrellas! Don’t rock bathing suits or expect to engage in water sports—leave the super soakers and water balloons home. Do drink plenty of water or nonalcoholic beverages so you stay hydrated in the summer heat. Don’t bring any alcohol to Penns Woods! It’s not just polite; it’s the law. New to wine tasting? No problem! Learn the ins and outs, and then leave it to our friendly Tasting Room Staff to guide you. There’s something for everyone from a just-right-chilled Chardonnay to a big, bold Proprietor’s Reserve. Dare to experiment: you won’t regret it. At Penns Woods, we cultivate a down-to-earth, welcoming and relaxing environment for new friends and regulars alike. 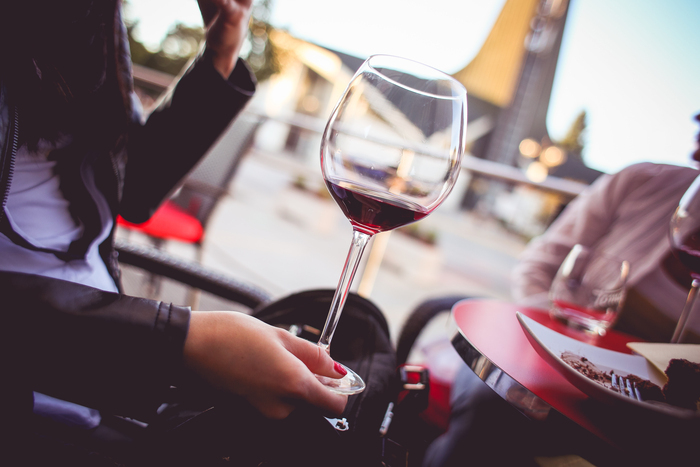 It’s not unusual to find our loyal regulars hanging out for an entire day sampling wines, cheese plates or food truck fare and enjoying music and good company. Ready? Take a look through our hours and house policies and plan your trip. We can’t wait to see you! A lot of big cities boast about summer activities and events, but did you know you can enjoy a summer of love right in scenic Chadds Ford? You can keep your fun-tastic calendar of events wine-centric Penns Woods style, which means plenty to do for the whole family. Sound like fun? Check out the rest of our calendar and plan a trip to Penns Woods Winery! Savor our Sunshine Sangria by the glass all month! July 10, 11 a.m.: Yoga in the Vineyard—Get your zen on in our beautiful vineyard during a 60-minute gentle yoga class with MERRYoga followed by wine tasting of five of our summer favorites plus a farmer’s plate of local lite bites: fresh and local veggies, cheeses and crackers. You’ll also walk away with a souvenir wine glass and 10 percent off all wine purchased after class—all for just $35. Registration is required. July 16, noon to 2 p.m.: Painting in the Vineyard—Your creative side is calling, and it wants to paint and sip wine. Done! Our friends at Pinot’s Palette will guide you step-by-step whether you’re a beginner or seasoned artist. 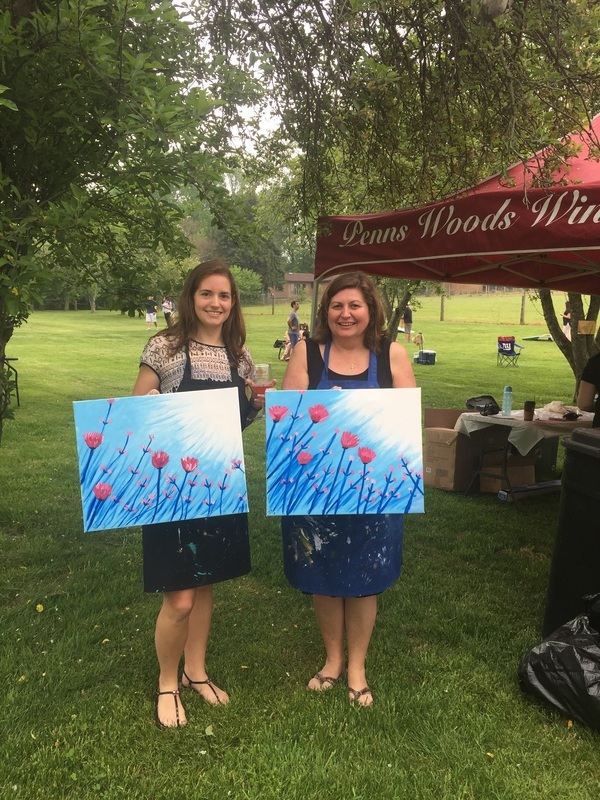 For $48, we supply it all: canvas or wine glass, brushes, paint, apron and a glass of wine plus live music by Greg Jones. Class size is limited to 35, so register today. August 13, dusk (around 9 p.m.): Movie in the Vineyard Ladies Night: Breakfast at Tiffany's—Grab your besties for a GNO under the stars! The movie begins at dusk and your $16.50 ticket includes free popcorn, but come out earlier to hear great music. Pack a picnic, or snag dinner from the Koi on the Go food truck from 4 to 9 p.m. Of course, Penns Woods wines by the bottle and glass are available to purchase until 10:45 p.m. You must be 18+ to attend; grab tickets and don’t worry about the weather: tickets are non-refundable, but there will be a rain date, if necessary. August 20, noon to 4 p.m.: Cars, Vines, and Wines—You’ll want to mark your calendar for our biggest event of the summer! 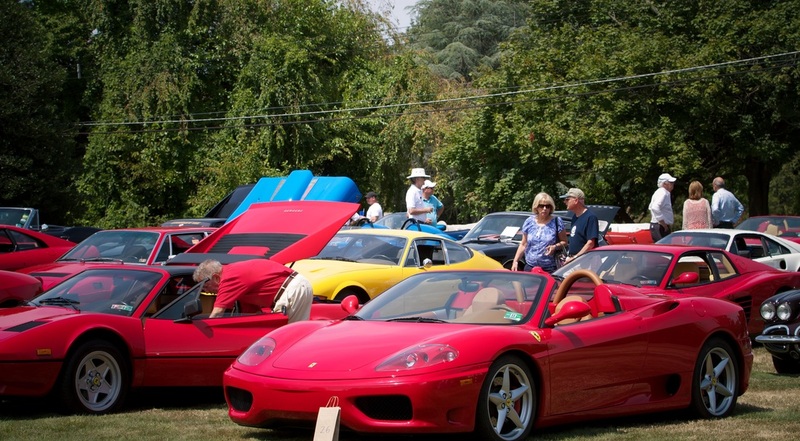 It’s our sixth annual classic car show and wine festival showcasing luxury sports cars from the classics to today’s favorites. But there’s so much more for the whole family, too: live music by Peter Marziano; local artisan vendors (shopping! 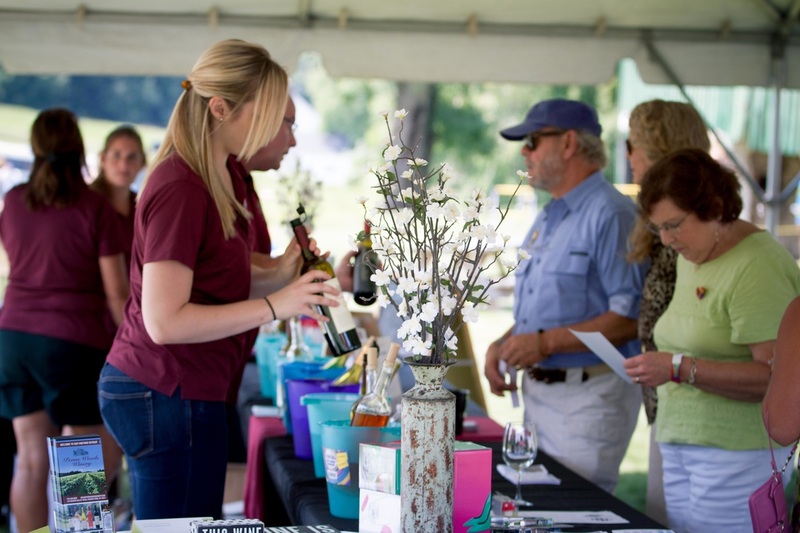 ); local gourmet food vendors; wine tastings; a vote for Best in Show; and a 45-minute vineyard tour with our winemakers as the guides from 2 to 3 p.m. Bring a new gift for a child to donate to Carz N’ Toyz and receive a free tasting ticket! The event is rain or shine (no refunds), and tickets to attend are just $16 and include a glass of wine and your Best in Show voting ticket. Designated drivers and under 21 tickets are only $10. Want to show off your ride? It’s just $42 to get in on the fun. 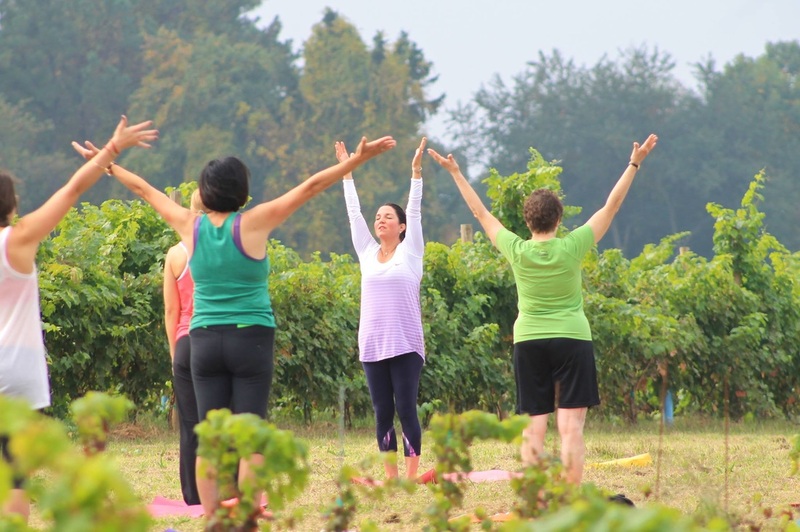 August 26, 6:30 p.m.: Sunset Yoga in the Vineyard—We’ll be busting out sun salutations as the sun goes down! Our same chill class with MERRYoga (including the tasting and nibbles) but in the evening. 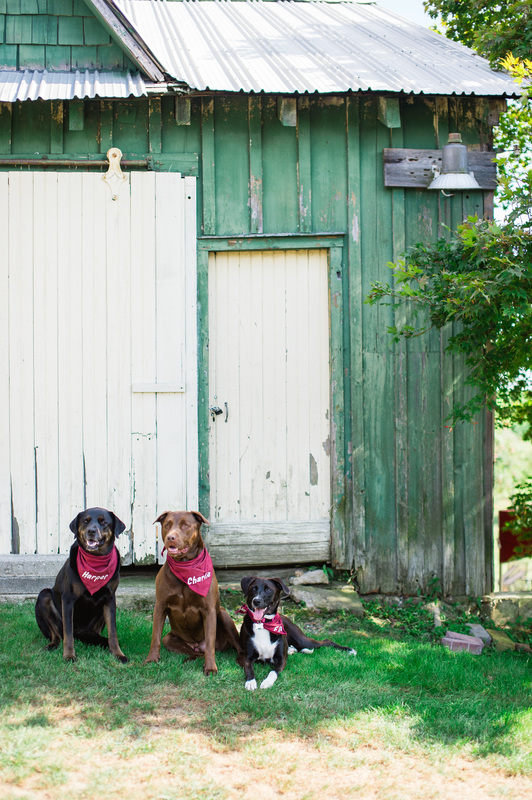 There’s so much to love at Penns Woods Winery this summer! We can’t wait to see you—again and again. We’ve got an announcement to make, and we could not be more excited! This year will mark the first harvest of our newest varietal: pinot noir. This approachable and popular style is a welcome addition to our already stellar lineup of red wines. ​The magic started back in 2013 when we planted pinot noir grapes in our Coatesville vineyard. 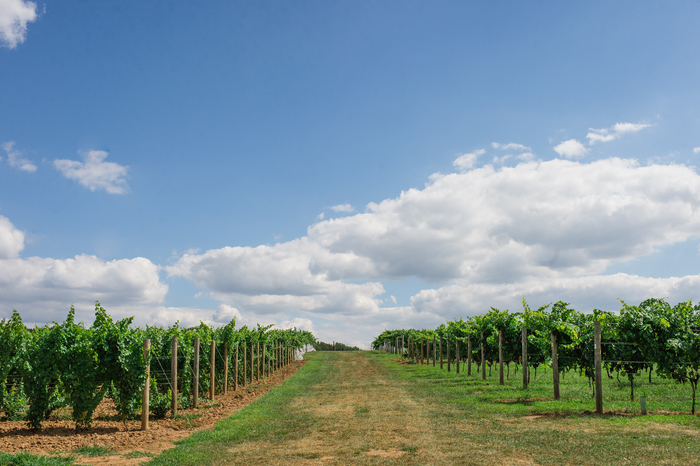 Since then, those delicate vines have been thriving in the grape-friendly Pennsylvania climate, so all eyes (and taste buds!) are now on harvest. Pinot noir is a more delicate red wine because it boasts fewer tannins. It’s flavorful, with many of the same qualities as other reds, but not as big and bold. You’ll notice its brilliant red color in the glass, and then earthy notes plus cherry and currant on the nose. A sip reveals complex hints of dark and sweet fruit, ripe berries, even some smoky and rustic overtones (like mushroom!). Its tannin-acid mix is beautifully balanced, making it appealing to even white wine lovers—and a slam dunk to pair with meals for any season. ​But wait—there’s more. 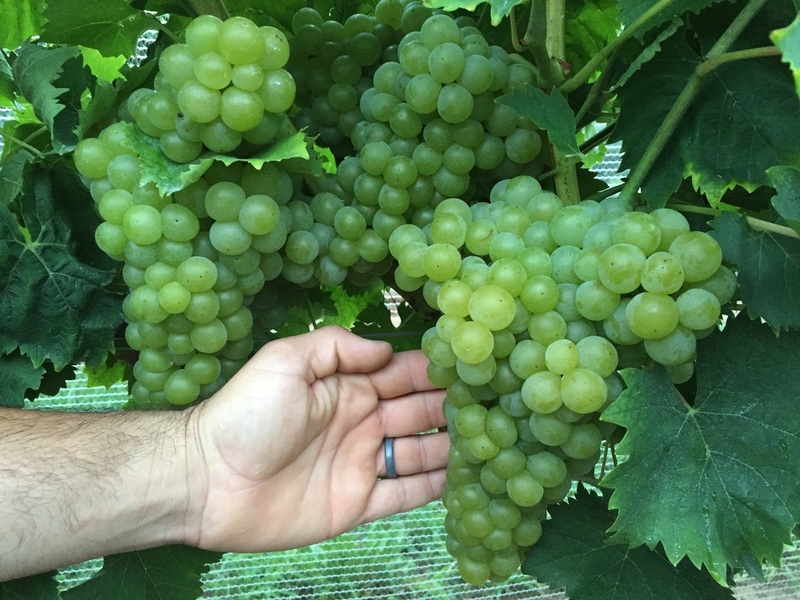 Davide hints there’s some Carménère planted, and Penns Woods Winery may just have a few surprises in store for that varietal. Watch our blog for updates! And while we’re at it … we’ve got another big announcement to make. Raise a toast to the newest member of the Penns Woods Winery family: Olivia Bernice Mack—vintage 2016. She’s the daughter of our co-owner and marketing/PR director Carley Razzi Mack and her husband, Eric Mack. 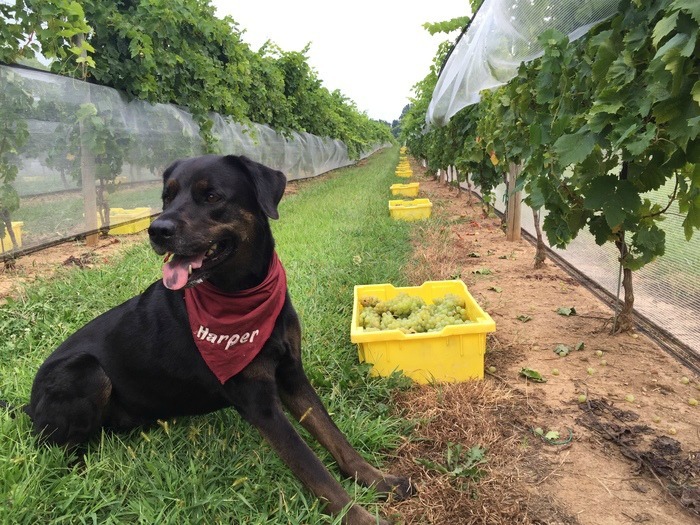 Expect to see Olivia at our family-friendly winery soon! Photo credits: top, Alexandra Whitney Photography; middle, courtesy of PicJumbo/Victor Hanacek. You’ll certainly want to put this in your heavy rotation for summer fare, but don’t stow it away when the warm weather wanes: this recipe—and wine—has year-long staying power. Wow those at your table with this firm-fleshed white fish. It boasts a pleasingly mild flavor perfectly accented by the ingredients you use to cook it; plus, its texture is ideal for slicing thin for this recipe. We chose our food-friendly (and award-winning!) Penns Woods Winery Grüner Veltliner to create a temping marinade for our ceviche. This dry wine’s bright acidity and hints of apple, lime and white pepper are accented by jalapeno, green apple, grapefruit and cilantro to render versatile mahi-mahi mouthwateringly delicious. There’s about a half-bottle of Grüner Veltliner in the recipe, so be sure to bring home enough for sipping, too. Enjoy! 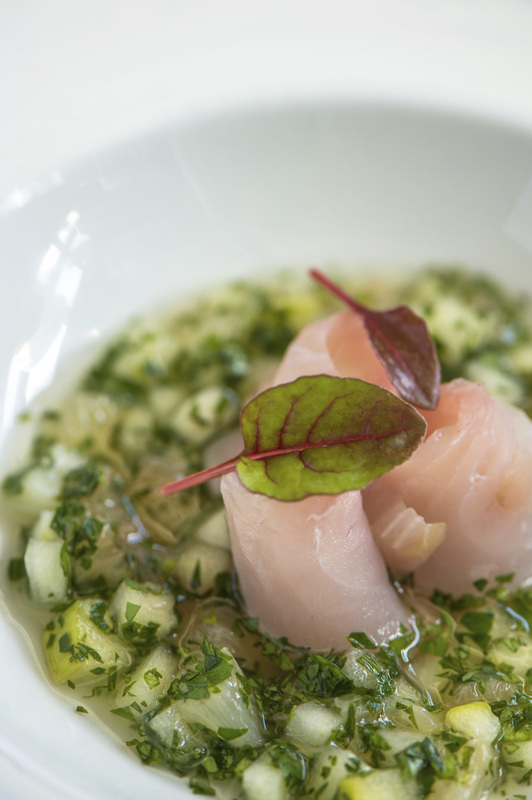 In a medium sized bowl, mix together the Penns Woods Winery Grüner Veltliner, grapefruit, jalapeno and apple. Season with salt. About an hour before serving, add the mahi-mahi and apple cider vinegar to the bowl. Allow the fish to marinate in the sauce. Before serving, garnish with cilantro, olive oil and sea salt.